Kingman Historic Theatre: The Lone Ranger is showing this weekend at the Kingman Historic Theatre! The Lone Ranger is showing this weekend at the Kingman Historic Theatre! 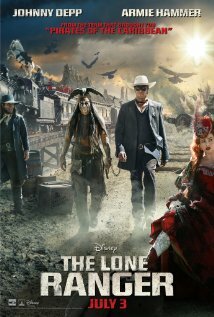 This weekend the Kingman Historic Theatre will be showing The Lone Ranger at 7:30 P.M. on Friday, July 26 and Saturday, July 27 and at 5:00 P.M. on Sunday, July 28. This movie is rated PG-13 and stars Johnny Depp, Armie Hammer, and William Fichtner. Check out the The Lone Ranger trailer.